Are you locked out of your property? Do you need an experienced locksmith? Williams Locks has provided customers with superb locksmiths Bath service for many years. Whatever the request, we have the experience and knowledge required to provide you with the locksmith service you need. If you want a reliable locksmith who will provide a non-destructive entry to your home and keys that work, Williams Locks is the locksmiths in Bath you need to choose. Are you locked out of your commercial property? Then call Williams Locks now for a rapid response service. Whatever your site is, our team will be able to gain entry into your property using a non-destructive rapid entry system. The rapid entry system can also be used for lockers, safes and vaults. Additionally, if you have lost the keys to your property and do not have a spare set of keys, our team can gain entry to your property and provide a new lock/key set. If your business has suffered an unfortunate break-in or had a window smashed, our team can provide your property with a range of options that will secure your property. If the lock on your business premises has been damaged or broken, we can replace this with a stronger and more secure lock. We also provide a secure boarded windows service which will keep your property safe until a professional window glazier arrives to fit a new window. Williams Locks provides customers in Bath with a complete domestic locksmith service. Using high-quality tools and a unique non-destructive entry system, we can gain entry into any household. So if you have lost the keys or locked yourself out of your home, Williams Locks are on standby to help you get in your home. Is your home secured against the threat of burglars? Many homes are still fitted with cylindrical locks that are vulnerable to damage and will enable burglars to gain unlawful entry into your home. 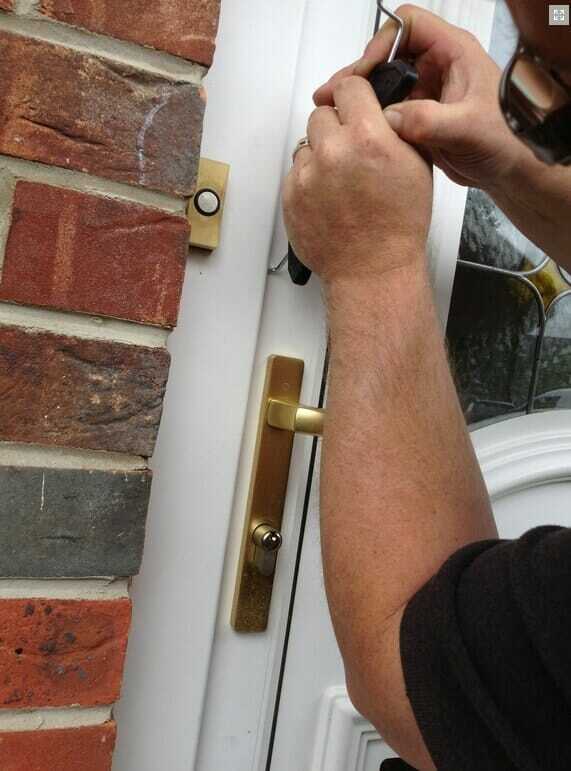 If you want to reduce the likelihood of burglary in your home, our team of experienced locksmiths can fit your door with a secure lock that will provide a high level of protection. Do you need the best emergency locksmiths in Bath ASAP? Then call either 07590 677417 or 0117 970 8185 for an unbeatable locksmith service. An employee of Williams Locks will endeavour to be at your property within 60 minutes of your call. So whatever the time of the day is our team will there to help you gain access into your property 365 days a week, 24 hours a day. We use a specialised non-destructive rapid entry system to gain entry to your property and can supply you with the keys and new locks upon request. Williams Locks has provided superb locksmiths in Bath service for over 20 years. We work to the British BS3621 standard, and we are a fully insured company. Every employee of Williams Locks is CRB checked and will provide your property with a superb locksmith service. Whatever your property type, we can gain entry into any property in a non-destructive manner that will not destroy your door. Our company has a high success rate in using non-destructive entry, and you can be assured that your property will not be damaged as a result of this service. For the best locksmiths in Bath service, contact us today on 07590 677417 or 0117 970 8185.